How I manage my 3 training studios in 8 hours a week (or less) without ever stepping foot in them. I explain the “4 Pillars” of your business and when and where you need to place your focus, how to create operations manuals, what staff you may need to hire, how I recruit and train them and more. Just $7 USD! (www.howtosellfitness.net) Complete and comprehensive course, learn to use my method of “Sincere Selling” to turn more prospects into paying clients. I cover not only the selling process but my tracking and contact management process that makes both planning and achieving business growth targets easy. (90 Day Done-For-You Marketing) Want to know how I generated 400+ qualified leads in a single month for less than $1000? Want to know how you could get as many as 10 new qualified leads in the next 2 hours? Want to know how I routinely generate 100-200 new leads per month at each of my locations? I’ll not only teach you this, you’ll be able to basically copy and paste! (Clickfunnels account not required but needed for full done-for-you functionality.) Coming soon! (Fitness Operations Manu als) For the first time ever I’m sharing my unique method of creating operations manuals that people actually use. With a Clickfunnels account you’ll be able to import my resources as though they were your own and easily edit, modify and implement to for better team performance! Coming soon! (48hr Fat Loss Nutrit ional Coaching Program) Need help with implementing a nutrition program for your clients? Gain access to my book and resource site that you can use as is or quickly modify to your own brand. 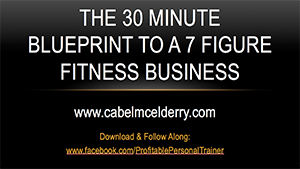 (Clickfunnels account required) I’ve used this same system to train thousands of people and is continually used in all of my Fit Body Boot Camp Locations. Coming soon!